The well known from the ancient times healing and beneficial properties of the waters of Loutraki, provided and still provide through the centuries, prevention and treatment for many diseases, musculoskeletal, skin and other diseases of the human body. 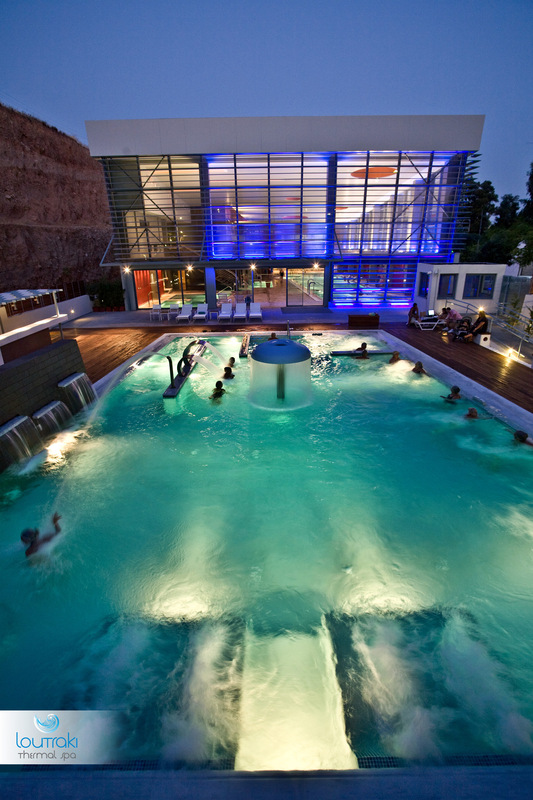 • 2 indoor heated pools with waterfalls and jet hydromassaging (underwater massage) 201 m2 and 40 m2 respectively. 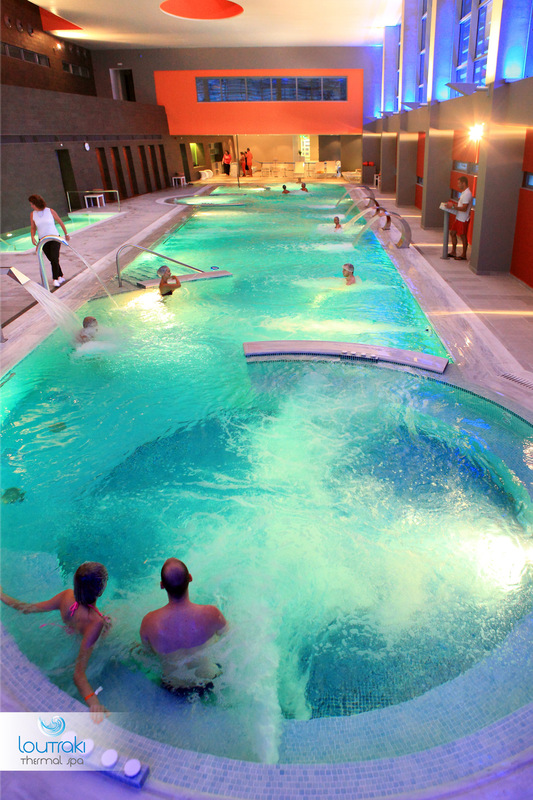 • 1 indoor swimming pool cooling water 20 m2. for post-traumatic problems. 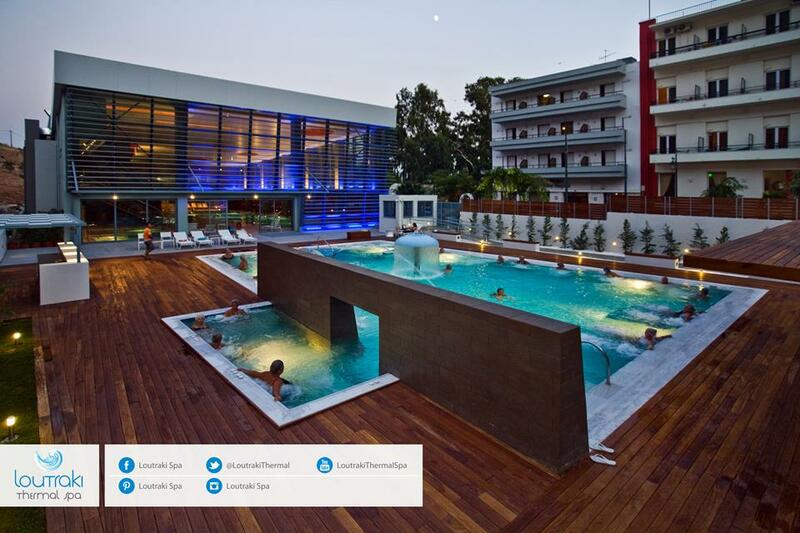 • 1 outdoor pool with water mushroom hydromassaging with waterfall and pool bar, 200 m2. 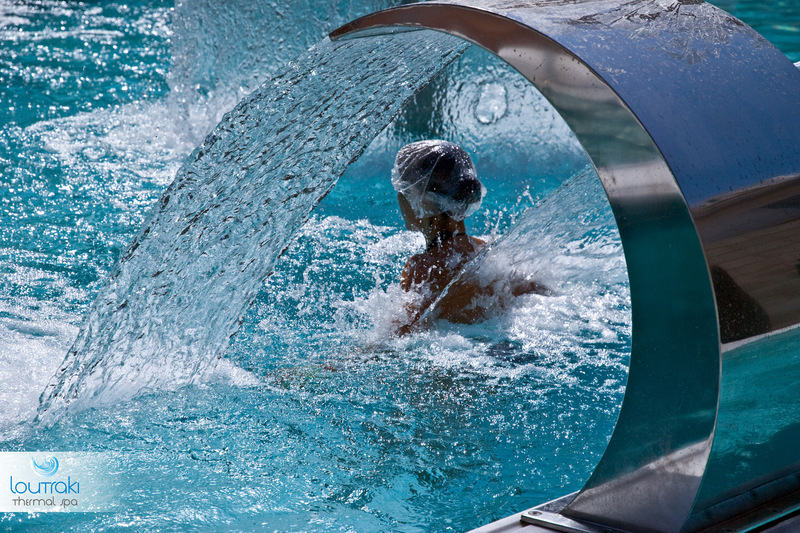 • 4 individual cabins with baths hydrotherapy. This includes a cabin of bath Caracalla with multiple launchers. • 3 double cabins with baths hydrotherapy. • 2 spaces sprinkler distance. • 2 spaces thin rain shower. • 2 spaces for mud. • Spacious reception rooms and rest. • Easy access for disabled.